Andrya Whitten was fascinated by her environmental studies and biology courses in college. 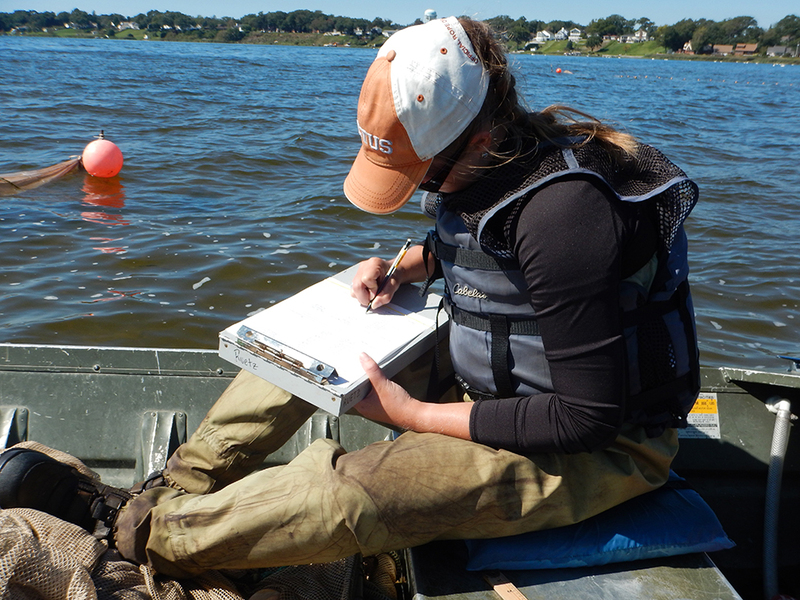 Now she's applying these subjects through her career in aquatic ecology. 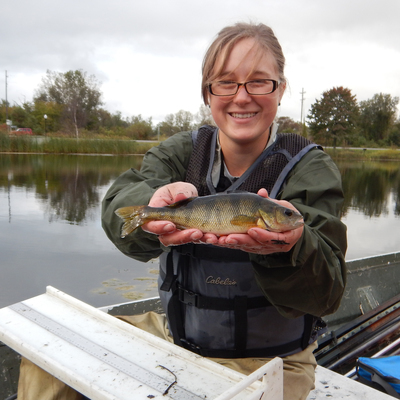 Aquatic ecologist Andrya Whitten always enjoyed science, but after her first high school environmental science class she was hooked. 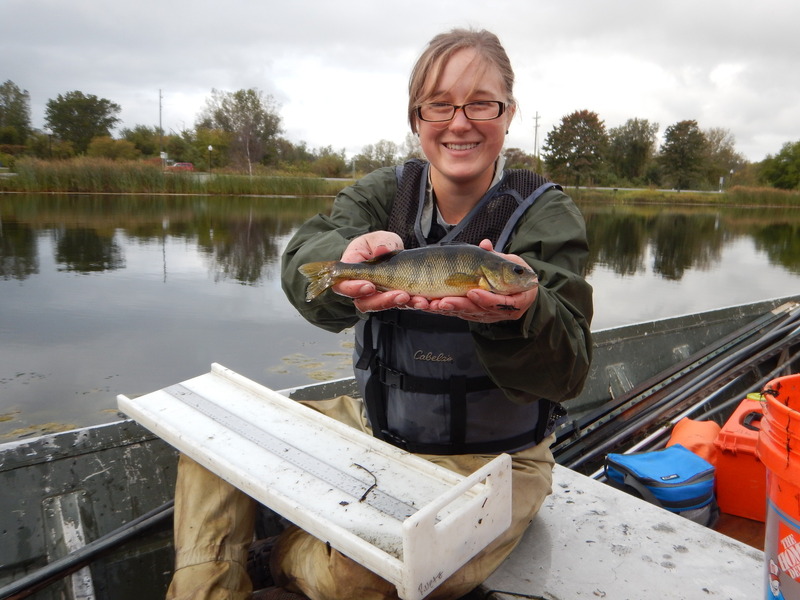 Andrya went on to earn a bachelor’s degree in Biology from the University of Wisconsin–River Falls and a master’s degree in Conservation Biology from Central Michigan University. 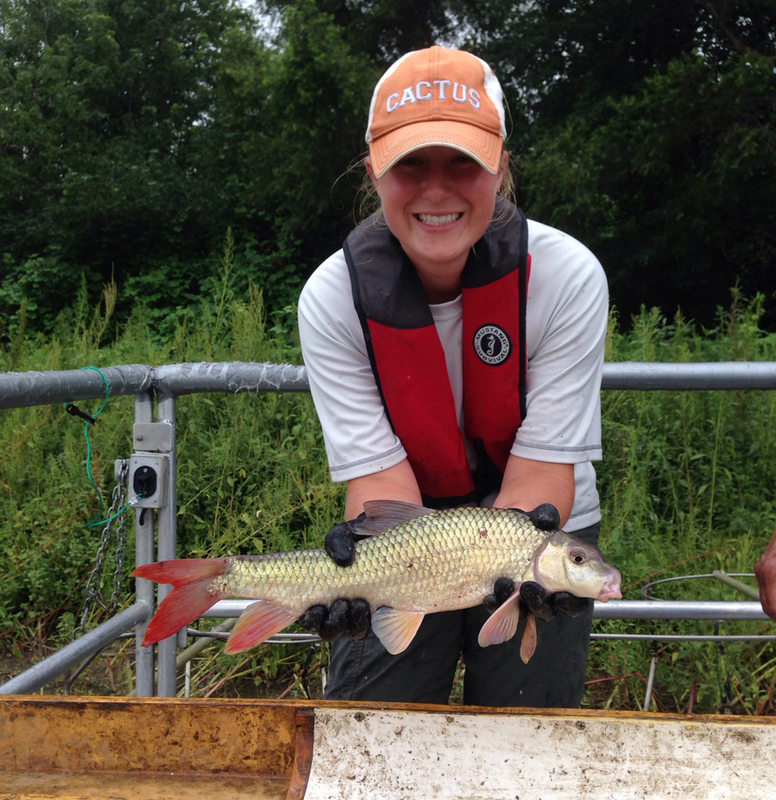 She joined the Illinois Natural History Survey's Illinois River Biological Station staff in summer 2016. Now Andrya collects the data that fisheries managers need to restore and maintain Illinois’s large-river sport fisheries. 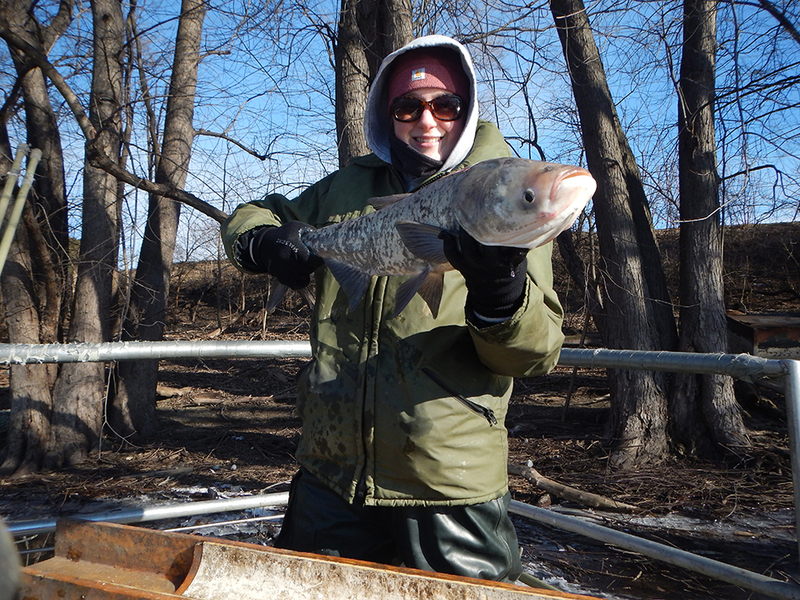 She’s part of the Long-term Survey and Assessment of Large-River Fishes (LTEF) project, which has been ongoing in Illinois since 1957. At home in the field and in the office, she helps design studies; collect, analyze, and write-up data; and present research findings at conferences.